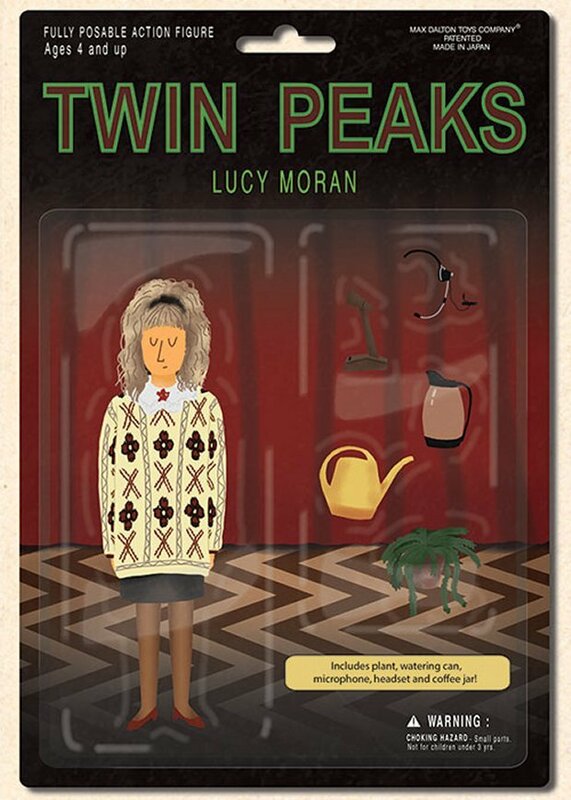 It’s too bad that Twin Peaks didn’t last longer on TV. It had some quirky characters and plenty of dark and bizarre goings-on. Plus, we never even got any action figures. 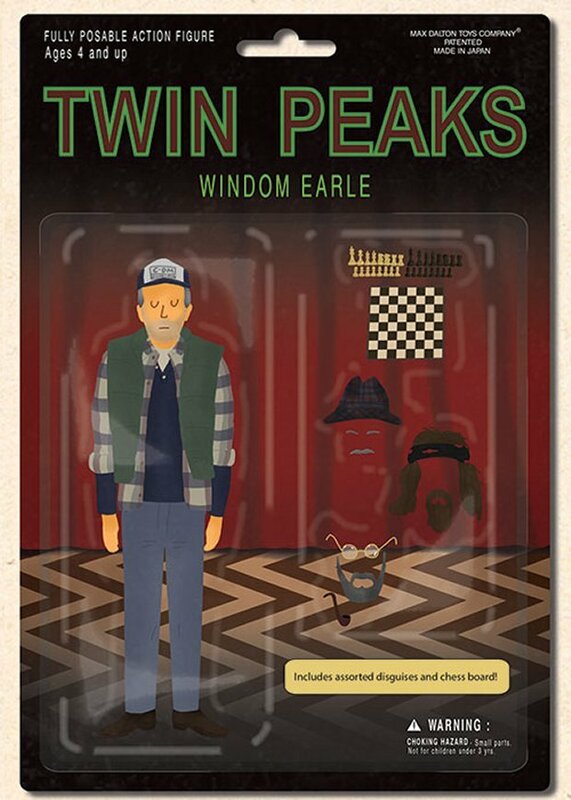 At least these action figure mock-ups from Twin Peaks let us see what we missed out on. All of your favorites are here with perfect matching accessories. 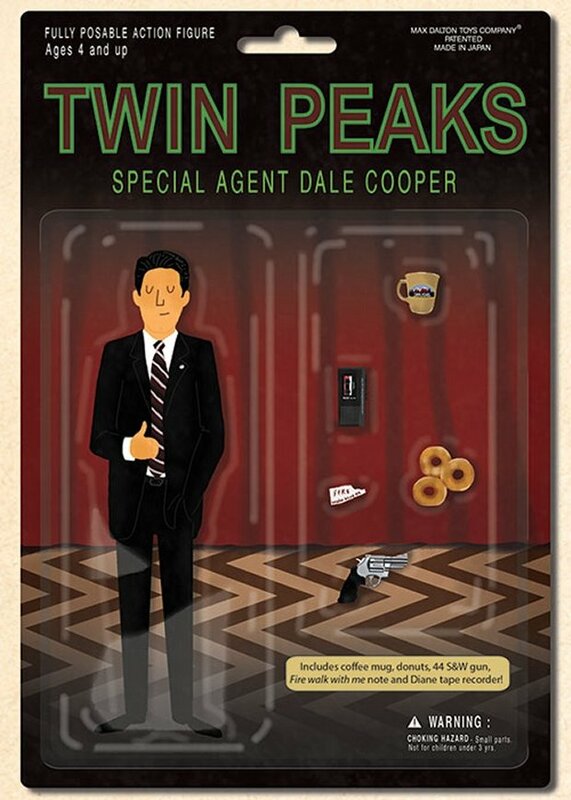 Special Agent Dale Cooper comes with his donuts and coffee mug, while Lucy Moran has a watering can and plant, and Windom Earle comes with several disguises. 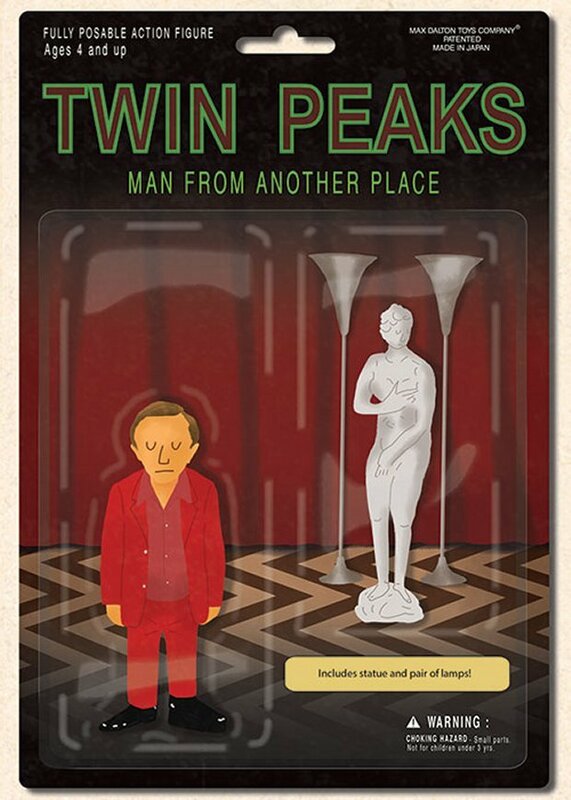 These come from illustrator Max Dalton who created them in poster form for Spoke Art’s David Lynch-inspired art exhibit. It is too bad they aren’t real products. I would buy the whole set. 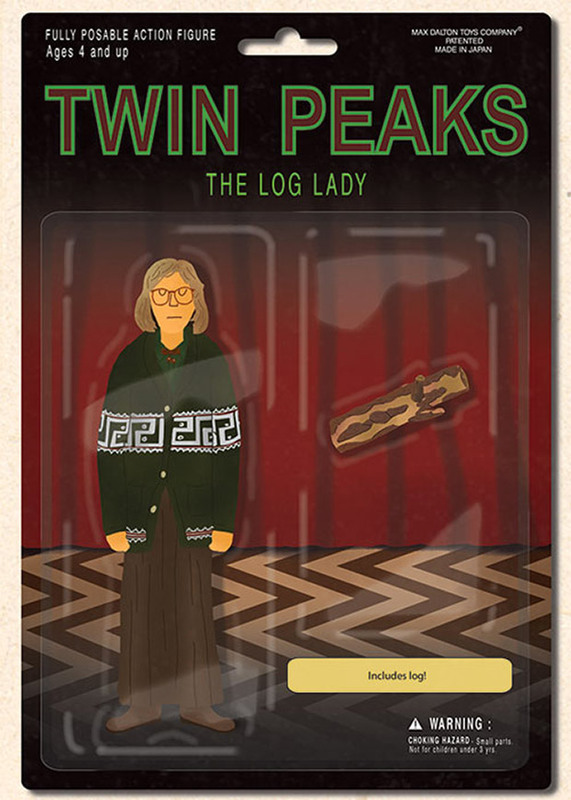 Yes, there is even a log lady with log accessory. Fire walk with me over to Max Dalton’s site to see the rest. You can also order the 18″ x 24″ limited-edition poster over at Spoke Art for $50(USD).